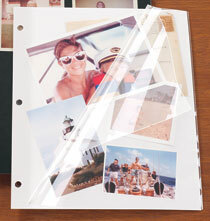 Give your collection of photos an album they deserve. 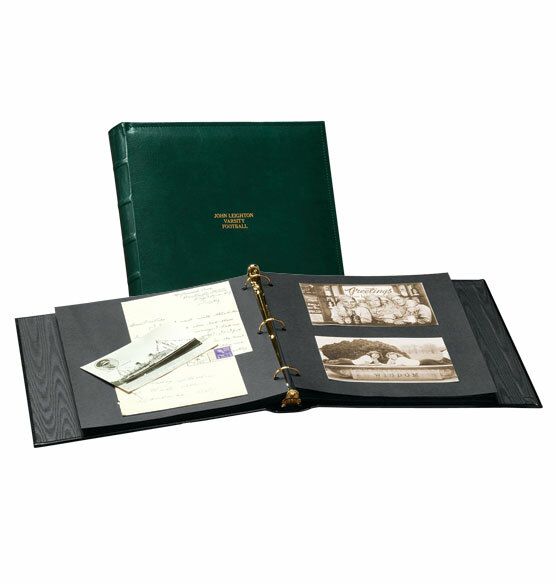 The Charger personalized photo album has a distinctive look that is timeless, making it a wonderful choice for any collection of family photos, school photos or any photos that you want to preserve with distinction. With a cover crafted of bonded leather, it's already a winner, but it also includes luxury touches such as raised spine detailing and elegant stitching. Overall, this lined album makes a wonderful addition to your library of albums. 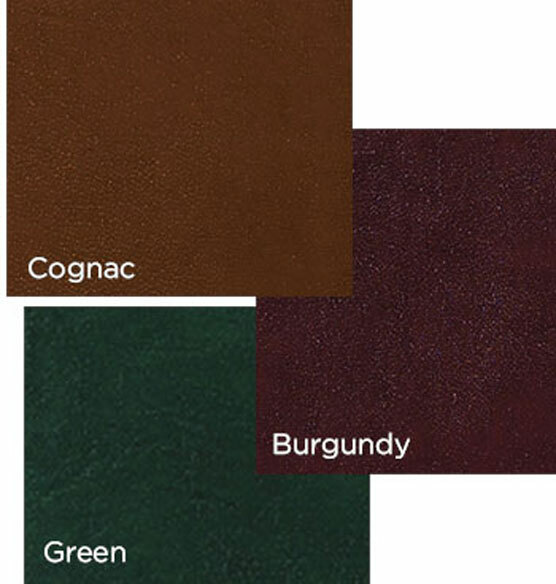 Select black, navy, cognac, burgundy or green and personalize it with up to three lines of text for uniqueness. I have purchased several Charter albums and plan to purchase many more. They are beautifully constructed, classic in design, something you can be proud to show to family and friends. A beautiful addition to your library. THIS IS USED TO DISPLAY MANY OF THE BEST PHOTOS MY HUSBAND TOOK IN HIS 84 YEARS. would love photo pages with black backgrounds. would love photo pages that fit the typical 4x8 cards. 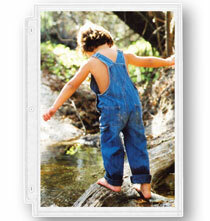 Love the construction and that you can label each photo album. Makes my photos VERY organized. I got this album and accessories to display my 370 photos from my wedding on the Amalfi Coast in Italy. I spent A LOT on the album, personalization, photo pages, glue dots, and shipping. Regarding pages for the album (which you have to purchase separately), the description says, "Photo Album holds up to 40 – 3-ring photo pages (4 sets). Holds up to 400 photos. Choose your favorite page style." I got four sets of "3-ring sheet protectors in ivory," which were suggested for my choice of album. Imagine my disappointment when I found out that this personalized album with these pages would hold a maximum of 240 4x5.3 (not even 4x6!) photos! I called Exposures, and although the rep was kind, her supervisor's answer was, "The description doesn't what size photos it holds 400 of. No recourse for personalized items. " Bottom line: this thing holds maybe 400 wallet photos. If you want an album that holds 400 4x6 photos or even 400 3x5 photos, DO NOT BUY THIS ALBUM. 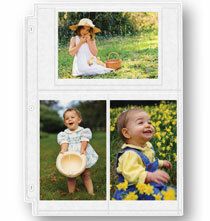 Nice quality album which I fill with ivory scrapbook pages! Long time customer. Pleased with all previous products. Wedding gift. How big are the rings? BEST ANSWER: The diameter is about 1 and 1/8 inch. where does the personalization get written? One the spine of the album or on the front lower right hand corner of the album? BEST ANSWER: Thank you for your question. The personalization will be printed in the middle of the album. We hope this information will be of help to you. 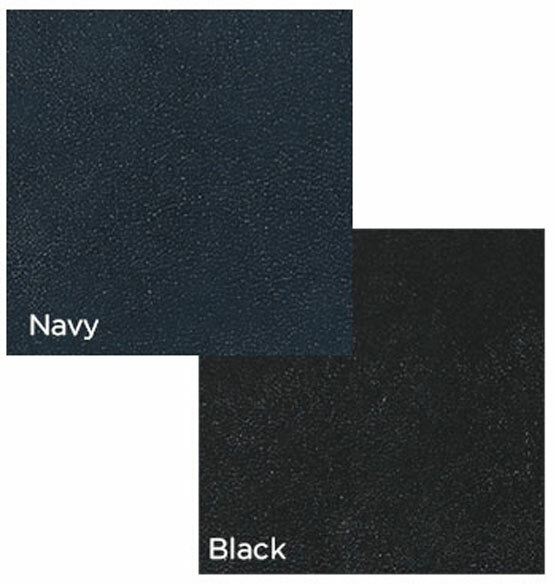 Are the pages black construction paper? Is it possible to write on the page? BEST ANSWER: Thank you for your question. Pages are not included with the album. They are sold separately. The photo is just a demonstration. We hope this information will be of help to you. How are the photos, etc held in place? BEST ANSWER: Thank you for your question. 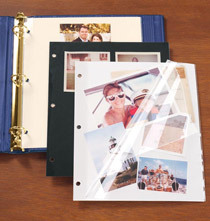 You can either purchase pocket pages, that hold the photos in place or order the sheet protectors and attach your photos with adhesive dots or our acid free glue stick. We hope this information will be of help to you.